SRINAGAR: Supported by its ally BJP, Peoples Conference formed the local government in the summer capital on Tuesday, when its mayoral candidate, Junaid Azim Mattu, who quit the National Conference to contest the urban local body polls, was elected Mayor of the Srinagar Municipal Corporation (SMC). Mattu secured 40 votes in the election held at SMC office in Karan Nagar while Congress candidate for the mayoral post Ghulam Rasool Hajam got 26 votes in the 74-member SMC, Commissioner of the civic body Peer Hafizullah informed, adding four votes polled were declared invalid. Congress-backed independent corporator Sheikh Imran was elected Deputy Mayor. Imran bagged 35 votes and defeated Mohammad Saleem Lone by a solitary vote. Mattu, who was a former spokesman of Jammu and Kashmir National Conference, had filed his nomination for the top post in SMC as the candidate of Peoples Conference. Mattu resigned from the primary membership of the National Conference in September after the party decided not to contest the urban local body polls till the Centre made clear its position on Article 35-A of the Constitution, which has been challenged before the Supreme Court. While the Peoples Conference had four, the BJP had five candidates elected to the corporation. There are 53 Independent corporators. Lone, who was a minister in the PDP-BJP coalition government from the BJP quota, is seen as instrumental in garnering support for Mattu's election, along with rebel PDP MLA and influential Shia leader Imran Raza Ansari. Shortly after the election results, Lone in a tweet expressed satisfaction and said that PC Mayoral candidate registered victory. He tagged belligerent PDP leader Imran Raza Ansari, Junaid Azim Matoo and BJP leader Ram Madhav in his tweet. BJP National General Secretary Ram Madhav in a tweet while congratulating Junaid Azam Matoo said that: “Junaid Mattoo, independent supported by Sajjad Lone’s People’s Conference and BJP has won the Mayor post of Srinagar. He polled against the combined candidate of PDP, NC and Congress by 40 votes to 26 votes. Congrats Junaid and Sajjad and all Corporators. However, Mattu's election as Mayor of SMC has been clouded by remarks of Jammu and Kashmir Governor Satya Pal Malik during an interview to a private TV channel last month. Malik had, without naming Mattu, said Srinagar was getting "foreign educated mayor" which would send jitters among the regional parties such as the NC and the PDP, which did not take part in the elections. The political parties had said Governor's remarks had put question mark on the whole election process. It may be mentioned here that son of a prolific writer- Abdul Majeed Matoo, Junaid Azam Matoo hails from Barzulla area of Srinagar city. Junaid had schooling in Burn Hall School, after which he joined Bishop Cotton in Shimla. He got a scholarship to study in a Michigan State University in the United States. Junaid used to research for his father's books which are very useful references with regard to Kashmir history and freedom struggle. Mattu graduated with a degree in Business and Finance. He had also founded the World Kashmiri Students Association (WKSA), a global youth association for Kashmiris. 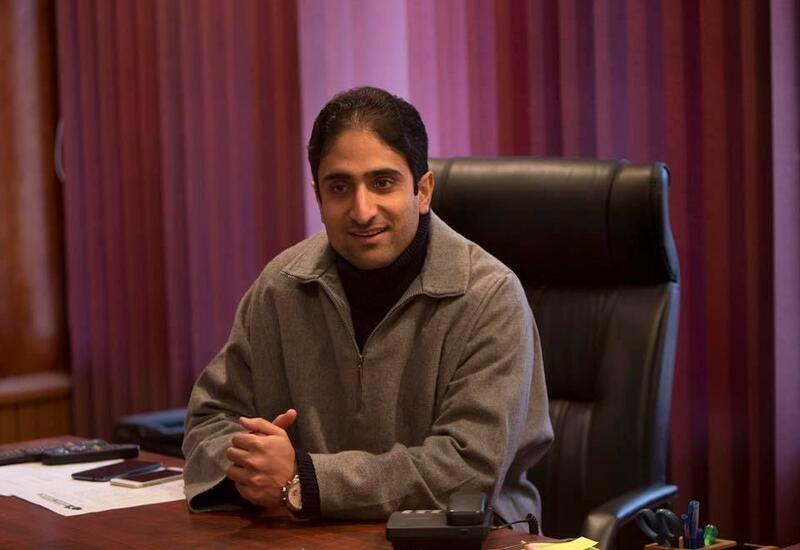 In 2009, he started his political career with Sajjad Lone’s Peoples Conference (PC), going on to become party Srinagar District President in October 2011. After developing differences with Sajad Lone, Matoo quit the party and joined National Conference. He again returned to People’s Conference when National Conference decided to stay away from civic body polls.